The T. B. Larimore house near Florence, Alabama, was destroyed by fire a couple weeks ago. It’s a devastating loss, and a lot of people are feeling it right now. My FB feed has been full of articles and photos. Larimore’s plea to be “just simply and solely a Christian in this intensely partisan age” resonates with so many of us who have been witness to harsh (and often pointless) disputes both at the congregational level and at the “brotherhood” level. Indeed, his words seem timeless. But context matters, and cannot be ignored even in this case. Questions arise immediately. Who was this “former student”? What motivated him to write to Larimore? What did he want? I want to talk for a moment about the context of Larimore’s words and how an entirely different light can be cast upon them when we allow that context to shape our reading and understanding. This is important at the moment because of the way that Larimore’s words have been pressed into service in the context of doctrinal disputes between “progressives” and “conservatives” in mainline Churches of Christ over the past few decades. In order to keep this post tight, I will split it into two parts. In this and the next post, we will look at Larimore and his correspondent in more detail. In a third and final post, I will offer some reflections on what all this might say about our current-day situation. Most of the details of T. B. Larimore’s life are well-established, and we need not linger on them here. But a bit of context will be helpful. Recall that he had established and managed the Mars’ Hill school for almost two decades (1871–1887). In that setting, some of the most influential leaders of the Churches of Christ in the early twentieth century were trained and began their ministries: E. A. Elam, J. C. McQuiddy, F. B. Srygley. Also among the graduates of Mars’ Hill was young Oscar Pendleton Spiegel (1866–1947). Remember that name: he’s the “former student” alluded to in John Mark’s post and we’ll return to him in a moment. demand evangelist all across the South. Along with David Lipscomb and J. M. Barnes, we might count him among the elder statesmen of the Southern churches at that time. He was easily one of the most popular evangelists in the Christian Church–and one of the few with a solid reputation among other Protestant bodies. Like most other evangelists in the church–especially those who traveled extensively to hold protracted meetings–Larimore preached to an increasingly divided brotherhood in the 1890s. As the decade wore on, congregations on both sides of the divide were actively specifying that the preachers who held their meetings line up with their views on the marquee issues of the day (i.e. the missionary society and instrumental music in worship). the 1894 Sherman, Texas meeting, which lasted some 22 weeks and resulted in 254 “additions” to the church there. Not as well known—but noteworthy for the subject of this post—was the January 1896 meeting he held for the Christian Church in Birmingham, Alabama, a congregation with decidedly progressive leanings. As the reader might imagine, such an approach invited criticism from all sides. Larimore’s actions in Sherman, Texas filled the pages of the Gospel Advocate for the rest of 1894 and into the following year. Lots of armchair quarterbacking can be found in those articles. 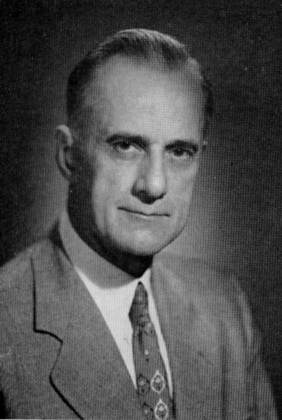 J. D. Tant, closely associated with the Firm Foundation, was especially vocal in his attacks on Larimore. But criticism came from the other side of the divide, as well. Following the Sherman meeting, the Christian Courier, a progressive Texas paper edited by W. K. Homan, attacked Larimore for dividing the church in Sherman. It’s worth noting that, even amid all of this, David Lipscomb never dropped his support for Larimore. Aside from some mild criticism—he thought that Larimore could be a bit more clear about his convictions—Lipscomb remained in Larimore’s corner. From this, I think we readily gather that Larimore’s own doctrinal leanings were with Lipscomb and other Southern conservatives. The most surprising criticism of Larimore, however, came a few years later, in the summer of 1897, when an open letter to Larimore, penned by that “former student,” Oscar Pendleton Spiegel, ran in an issue of the Christian Standard, perhaps the leading progressive paper in the nation. How did it come to this? How did Larimore and one of his students find themselves in this position? To answer those questions, we have to understand something of Spiegel’s own development. 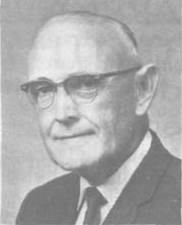 O. P. Spiegel was a native of Morgan County, Alabama, and part of a prominent family of Disciples there. (Two of his brothers, J. E. and S. P., would go on to play prominent roles among the progressive churches of Alabama in the early 20th century.) He enrolled in Larimore’s Mars Hill school as an adolescent boy, and was a member of that final graduating class of 1887. When F. D. Srygley interviewed Larimore about his former students two years later for a book he was writing, Larimore spoke very highly of Spiegel, referring to him as “one of the very best and most promising of the Mars’ Hill boys—young, fine looking and destined to make his mark in the world” (Larimore and His Boys, pg. 175). At the time of this interview, Spiegel had left Alabama and was enrolled as a student at College of the Bible in Lexington, Kentucky. Later on, he would undertake studies at the recently formed Disciples Divinity House at the University of Chicago. But it was in Lexington, among his fellow classmates, in classes and conversations with faculty members such as J. W. McGarvey, that Spiegel’s mind began to change. At first I would not think of going. I had heard that there were societies of many kinds in that church; that they had a separate choir, and that the members had very little pure religion any way. After the church had urged me to come, I at last came to this conclusion: ‘If there is a church on earth where the members are doing sinful things, and will come to hear me preach, I want to go to that church, for may be I can benefit them; hence, I will try my hand on Anniston.’ So I wrote them that I would come that first of September, last. I went; but, to my great surprise, they had no society there, except the church; no separate choir, and as to religion, ‘pure and undefiled,’ I have never seen a church with more than this one…. The brethren and sisters are ever ready to co-operate with the Lord in every good word and work. Quoted in O. P. Spiegel, “Anniston, Ala.” Gospel Advocate 34.26 (June 30, 1892): 405. This was a position he would hold for about ten months. During his stay in Anniston, we see all the marks of a man whose mind is changing and whose loyalties are clearly divided. While in Anniston, he writes articles supportive of the state missionary society for the Apostolic Guide (and, our sources report, took a salary for his work from the General Christian Missionary Society). Moreover, he served as president of the 1892 annual meeting of the Alabama Christian Missionary Cooperation (the state society). All the while, he sent in regular reports to the Gospel Advocate, and participated in a meeting that Advocate front-page editor F. D. Srygley held in nearby Gadsden. Not long since I went to hold a little meeting at one of our little cities. One of the elders took me out and said: “Now, we would like to know how you stand on the ‘organ,’ ‘missionary society’ and ‘salaried preacher’ questions?” Said I: “Now, brother ———–, I have my opinion as to whether those things are right under certain circumstances, and you have yours. So I propose that we each and all keep our opinions to ourselves and preach the gospel this week, and do all the good we can to save souls.” “No,” said he, “if you believe these things are right under any circumstances, you are not a fit subject to preach the gospel.” I preached it all the same. But I wonder how long it will be before the confession of our opinions will be taken instead of a confession of our faith in Christ as to whether we shall be entitled to membership in the body of Christ? Quoted in David Lipscomb, “Opinions a Test of Fellowship.” Gospel Advocate 34.20 (May 19, 1892): 309. “If a Methodist were to say to Bro. Speegle [sic], that you have your opinion about who should be baptized and how it should be done, and I have mine; let us keep our opinions to ourselves and preach the gospel this week, he would object, mine is faith, not opinions. “I as firmly believe that it is a sin to set aside the divine order of work and worship, with the interferences and opinions of men, as he possibly can believe it a sin to substitute affusion for baptism, or to baptize the infant instead of the believer in Christ Jesus. He wonders how long it will be before a confession of opinion will be taken instead of a confession of our faith in Christ, as to whether we should be entitled to membership in a church of Christ. If he will study the exclusion of J. T. Frazier in Louisville, he can see that when those who substitute opinion and inference for the order of God feel they are strong enough they will exclude all who refuse to conform to the opinion of the elders. If he will note that as smooth and gentle a man as Larimore can hold a series of successful meetings in Texas, one in the home-town of one of the editorial writers of the [Christian] Courier, and never be noticed in the Courier. This means he is ostracised. How long before you will feel able to do this in Alabama, deponent saith not, but some years ago a few young men went from college down to Alabama, with a number of visitors, held a state meeting for Alabama, and refused to let J. M. Barnes, who was raised in the state and labored long to build up the churches of Christ, speak at it. And it seems from the above, a young man just out of school set at defiance the wish of an elder of a church, and preached against his wishes. That, at least, is implied by the language. I cannot tell how long it will be, but now as ever, those who depart from the word of God will ostracise, condemn, and cast out, those who refuse to depart from the order of God. By 1897, in his open letter to Larimore, Spiegel has reversed himself, essentially taking the line of argument made by the elder in the story above. In the five years from 1892 to 1897, Spiegel’s transition was complete. His was not an uncommon story in the 1890s. It was a time of transition and ferment. All sorts of people in the Christian Church were transitioning from conservative to progressive and from progressive to conservative during these years. Likewise, congregations were making the transition from one side of the fence to the other. By the end of the decade, it was much, much more difficult not to take a side (as Larimore was trying to do) than it had been at the beginning of it. After his time at Anniston, Spiegel’s trajectory was set. He accepted the position of State Evangelist in July 1894. Because even most who have heard of the missionary societies are unfamiliar with the office of State Evangelist, a word of explanation is in order. The State Evangelist was the public face of the state missionary society. As the name of the office suggests, he traveled the state holding meetings and raising funds for the state society. He also helped connect churches with preachers who could hold meetings for them. In some cases, he would help to resolve congregational disputes or to vet preachers for doctrinal suitability. Moreover, it was common for the State Evangelist to act as a subscription agent for the pro-society papers, like the Standard, the Apostolic Guide, and the Christian-Evangelist. In all of this, the State Evangelist was a key player in building the denominational scaffolding that would result, by the 1960s, in the formation of the Christian Church (Disciples of Christ). During his time as State Evangelist (July 1894 to December 1897), Spiegel did the job he was commissioned to do. He sent in reports of his work to the Advocate as well as to the more progressive papers. Year by year, Spiegel’s loyalties to the progressive cause became clearer. More than that, though, he became increasingly more aggressive in pushing his newly formed conclusions on the churches of Alabama. We’ll turn to that story in the next post. James J. Irvine (1862–1898) was a native of New Zealand. He came to America at the age of 20 and, in due course, enrolled in classes at College of the Bible, from which he graduated in 1890. Like a large number of other graduates in those days, he came south to Alabama to begin his ministerial career. He served as State Evangelist in Alabama from 1890–1891, followed by a stint as minister for the church in Selma. By 1895, he had taken a position as office editor of the Southern Christian, edited by C. P. Williamson out of Atlanta, with close sympathies for the progressive stances of the Apostolic Guide and the Christian-Evangelist. Later, he would undertake pastorates in Jacksonville, Fla., and Norfolk, Va.—where he met an untimely death in 1898 at the age of 36. The Gospel Advocate for June 20, 1895 reprinted a piece that Irvine wrote for the Southern Christian, titled “Individual Effort.” It might strike us as odd that the Advocate would reprint a writer like Irvine with such ties. Two considerations are at work here: 1) the Advocate of the pre-Goodpasture period consistently fostered the open exchange of ideas and the various sides of a given issue. F. D. Srygley—front page editor at the time this piece was written—would reprint anything he thought worth reading, no matter who the author was. 2) The 1890s were a time of transition. A page-by-page survey of the decade allows the reader to clearly see the split between progressives and conservatives in real time. It was not a time when firm lines that could not be crossed had been drawn—although that was soon to happen. Anyway, I reprint the piece here not so much to make a specific theological point, as rather for the sake of general edification. Every work to-day, great or small, stands as a monument to personal effort. We look upon an immense building in all its beauty and massiveness; we think of the different individuals who worked with brain and muscle, and of the agencies used to bring about this grand result. The architect, as he made the plan, as he calculated the symmetry, the blending of the parts; the contractor, as he takes what has been planned and begins to lay his foundation deep and wide and strong, and going down to the solid rock to make it the base of his operations. The building begins to assume size and shape. Each one at his particular place, all helping and using their skill and personal effort until the whole building fitly joined together is a fit abode for man. All this was brought about by a combination of personal effort, a working together for a desired end. Is not this the divine idea and will? Are we not co-laborers together with God in the building up of the great structure of the Church of Christ? In the building of the walls of Jerusalem under Nehemiah, we find that the people had a mind to work, although surrounded within and without by enemies, and the result was the walls were completed. The walls of the spiritual Jerusalem are being strengthened in our Southland, and now the servants of our Lord are doing so much. How much could be done if every individual follower of Christ would put forth some personal effort. Now is the time. Let us go to the Divine Architect, get our plans, and work by them. Go down to the solid “Rock of Ages,” build thereon, and each one in his place, with the talent and ability given him, rear a part of the great structure to the honor and glory of God. In this God-given work let each do his part and do it well. If you can sing, sing the praises of God and the gospel of his Son. If you can pray, pray fervently for the workers in whatever part of the great building they may be found. If you can teach or preach, know nothing among men but the Christ, exalt his name, hold him up as the chief corner-stone, the one despised and rejected, but now the King of kings. Whatever you do, do all to the glory of God, and when life’s work is done on earth we have the sweet promise of entering into that rest and that mansion prepared for the faithful, into the heavenly Jerusalem, that house not made with hands, eternal in the heavens. May each one do his individual part in the effort to save men. — J. J. Irvine, “Individual Effort.” Gospel Advocate 37.25 (June 20, 1895): 386. I’ve not blogged much over the past couple years, but expect to see more of this kind of clipping. I’ve collected a lot of this sort of thing from my time in front of the microfilm reader. Open division was a reality in Churches of Christ across the country in 1958. The controversy over institutions that had erupted in the years during and after WWII mushroomed by the middle of the 1950s into a heated and often very personal dispute. This is not the place for a complete timeline of the controversy, but it might be worth pointing out a few of the things that contributed to the atmosphere in which Lee wrote in 1958. In December 1954, B. C. Goodpasture published with approval a letter written by an anonymous elder calling for a “quarantine of the ‘antis. '” This opened the door to, and gave sanction to, the kind of pressure tactics Lee references in the letter. A series of debates, each perhaps more acrimonious than the last, also began around this time: the Holt-Totty Indianapolis debate (October 1954); the Tant-Harper debates in Lufkin and Abilene, Texas (April and November 1955); and the Cogdill-Woods debate in Birmingham (November 1957). Perhaps more than anything else these helped solidify the identities of the two groups. None of this, of course, fully captures the mood in the churches in these years. Lots more could be said, specific incidents recounted, and so forth. It will have to suffice for the purposes of this piece, though. At any rate, most contemporaries of these events would later point to the Cogdill-Woods debate (1957) as the final breaking point. For all practical purposes, there was no going back after this. Division was an accomplished fact. Knowing all of this, the tone and timing of Lee’s letter are surprising. That such a letter could be written in 1958 says something important. At one level, there was nothing in it for anyone on either side to try again, one more time, carefully and patiently, to reach across the ever-widening gulf between the two sides. But Lee tries, and that’s really significant. The way in which he argues is also of great interest. Each of the debates listed above (and many others at the time) centered on the proper application of the traditional command-example-necessary inference hermeneutic. While it is clear that Lee accepts that hermeneutic and its assumptions, his arguments in this letter rely very little upon the hermeneutic. They proceed from other concerns. Several of those concerns, seen in the “Friendly Letter,” later recur in articles written for Searching the Scriptures as well as in his autobiography, Preaching in a Changing World (1975). I’ll briefly discuss the major ones here, drawing on citations from a variety of sources. N.B. These arguments are closely interwoven in the texts themselves. My attempt to separate them out for analysis here is necessarily somewhat artificial. In other words, proceed with caution: go read the texts themselves. “I could not today  get a job with three of the four schools where I have taught. I have made the point back through the years that I do not believe the church should give money into the school treasuries. During the thirties and forties I was generally commended for this stand. Today it is sometimes reported that I am against the schools when I say the same things. It has been heartbreaking to me to see these schools fall into the hands of those who cater to the liberal brethren among us” (Preaching, 20). 2. Second, Lee spends a great deal of time looking at the orphan’s home from (for lack of a better term) a human standpoint. It’s an argument from the heart, rather than from hermeneutics. Lee writes, “The most expensive and least desirable way to care for children is in the orphan’s home setup.” He then goes on to show the manifold ways in which, for all of the good intentions of those who work in them, orphan’s homes cannot provide the kind of care a child needs. “One of the things a child needs is tender loving care. If one hundred children live in one big house, a given child may almost starve for affection and attention. He may make himself a nuisance in trying to get attention. If you will go to a so-called orphan home and sit down and put your arm around one child, another will come at once. There may soon be more than you can reach around. Some have had this experience and have gone away speaking of the good work of the institution in training the children to be so affectionate. It is more a matter of starvation. They are starved for this sort of attention…. In short, the child needs love. The very best matron cannot give this special attention to each of the children in her department” (Preaching, 76). Of interest on this point is the fact that policy regarding the care of orphans in the United States has largely borne out his arguments (both in his day and since). He notes that states were already moving away from institutionalized care in the 1950s — as were the mainline Protestant denominations who had gotten heavily involved at the turn of the century. Sociologists and government officials had already begun to show preference for foster care or adoption in all but the most extreme cases of mental illness or physical disability. By the time members of Churches of Christ jumped on board after WWII, institutionalized care was already falling out of favor. And again: “Schools, publishing houses, and many other things have a right to exist as servants of mankind but not as a super government for the church or as a parasite on the church. The administrators of most of the colleges operated by our brethren have taken the very ‘liberal’ view of this crisis. I am embarrassed and ashamed of this. The constant need for funds brings them close to men of wealth. Those who are among the rich find it hard to have a child-like faith in the Lord’s plan. The temptation to trust in riches is evidently great. They made money by their own plans and they see the need of business (human) plans in the work of the church” (italics mine). To go to heaven one is to visit the sick, the widow, the fatherless (Matt. 25:31; James 1:27). One is to labor “to have to give to him that hath need” (Eph. 4:28). One is to bear another’s burdens (Gal. 6:2). Dorcas gave garments to the widows (Acts 9:36-39). This method does more than make the gift. The giver is there with the gift. Is there danger that the showy method where numbers, buildings, and reports seem large may be the skimpy method? Let us work and pray that the individual may realize that everyone is to give an account of the deeds done in his body (II Cor. 5:10). Can a centralized home at Cullman or Nashville, however efficient, do the work I should do among my neighbors? Surely, we can agree that we must act. Is there danger that we may say, “Let the Welfare Department, the Red Cross, the church, the benevolent society, etc., do it”? This is excerpted from “Dangers of the Present Crisis” by Irven Lee in Searching the Scriptures 3.4 (April 1962). This kind of emphasis on what we might call lived religion — religion as a way of life, religion that does not divorce doctrine from ethics — shows up all over the place in Lee and other North Alabama NI writers. The whole article is worth it, but I think Lee is strongest and most on-target at this exact point. For him — even though I think the Lockean rationalism of our tradition gets in the way somewhat — there is a sense that the giver is the gift, that the gift of presence and personal involvement is as important as any check, no matter how large, that one might write. This is an important lesson in a context in which mainline Churches of Christ, in particular, are witnessing the collapse (at a fairly rapid pace) of the institutional structures that were created at midcentury and that led to division in the fellowship. That’s certainly the case in Nashville. The way forward in the post-Christian reality of life in this country, where we no longer occupy an honored position in the culture, will lie (to some extent) in learning how to be congregations again, learning how to involve every member in the mission of God in the church. Our ancestors understood this. May we remember it again before it’s too late. I’m registered this semester for a course titled “The Theology of the Stone-Campbell Movement.” As you might expect, it focuses on Churches of Christ, beginning with Stone and the Campbells coming down to the end of the 20th century. The course is arranged thematically: after a brief introduction to the facts of the Movement’s history (names, dates, etc. ), the bulk of the course deals with major theological themes that emerge from that history: unity, restoration, democracy, millennialism, and so on. I’m charged, as part of this course, with contributing to a group presentation on the Movement’s hermeneutics. On my end of things, I’ll be looking at Alexander Campbell’s “Sermon on the Law” (1816) and how the approach taken in that sermon led, later on, to a comparative neglect of the Old Testament. The great danger that bedevils any powerful heuristic or interpretive discipline is the tendency to mistake method for ontology, and so to mistake a partial perspective on particular truths for a comprehensive vision of truth as such. In the modern world, this is an especially pronounced danger in the sciences, largely because of the exaggerated reverence scientists enjoy in the popular imagination, and also largely because of the incapacity of many in the scientific establishment to distinguish between scientific rigor and materialist ideology (or, better, materialist metaphysics). This has two disagreeable results (well, actually, far more than two, but two that are relevant here): The lunatic self-assurance with which some scientists imagine that their training in, say, physics or zoology has somehow equipped them to address philosophical questions whose terms they have never even begun to master; and the inability of many scientists to recognize realities—even very obvious realities—that lie logically outside the reach of the methods their disciplines employ. The best example of the latter, I suppose, would be the inability of certain contemporary champions of “naturalism” to grasp that the question of existence is qualitatively infinitely distinct from the question of how one physical reality arises from another (for, inasmuch as physics can explore only the physical, and the physical by definition already exists, then existence as such is always “metaphysical,” or even “hyperphysical”—which is to say, “supernatural”). It’s no accident that Hart should focus in on the methodological arrogance of some scientists. Naturalism has come to dominate thinking in many quarters: biology, neurology, etc. are believed to have the ability to explain just about any human characteristic. Diehard adherents of naturalism are also the ones writing the most dogmatically atheist volumes in our day — Sam Harris and Richard Dawkins, among others. Often, it is the case that these writers have little interest in dialogue or conversation with Christians, and even less interest in how the Christian faith is actually practiced (Dawkins’ theological ignorance, for example, is the stuff of legend by now). Hart points out the obvious in this piece: every method, every explanatory model, scientific or otherwise, has its limits. This is so because all of these methods are human. The best methods recognize their limits, their humanity. It’s also no accident, or so it seems to me, that a similar methodological arrogance has flowered in some quarters among Churches of Christ. A great deal of time has been spent in our circles over the past three decades or so — all across the spectrum from “progressive” to “conservative” — examining our received hermeneutic (i.e. the “common sense” hermeneutic that looks to direct divine commands, apostolic examples, and “necessary” inferences in order to establish authority). It’s easy to see why they do this. A five-minute search of the Internet would turn up numerous, flagrantly bad applications of the “common sense” (ironic quote marks intended) hermeneutic. Not only that. Many of those advocating these bad applications have also broken fellowship with those who disagree with them. This is to be regretted lamented. Conservatives, not surprisingly, loudly protest these criticisms. This way of reading Scripture, they argue, has given us a great many treasures: weekly communion, the leadership of elders in the local congregation, and so forth. But there is also a note of fear in their argumentation: if we were to jettison the received hermeneutic, what would be our source of authority? This is a legitimate question, one that progressives have thus far failed to answer satisfactorily. But for many conservatives, fear has taken over, leading them to retreat into an extreme dogmatism. To some extent this is forgivable. Undoubtedly, it is motivated by love of the tradition (even if they wouldn’t use that term). But it’s unnecessary. The conservative critique is accurate to the extent that it gets at the issue of identity in a way that many progressives have blithely ignored. Conservatives rightly recognize (even if they can’t put it into words) that the received hermeneutic is at the heart of our identity as a theological tradition and cannot simply be jettisoned without extensive and painful surgery that might just take the life of the patient. But ignoring or downplaying the questions and problems raised by progressives is not the right approach. In my next couple of posts, I want to do three things. First, I will suggest that maybe the common sense hermeneutic is not the problem…at least not the major problem. Second, I will point to what I see as the real problems, which are not the ones commonly identified by progressives. Finally, I will suggest that the real problems dog “progressive” thinking just as much they do “conservative” thinking. Every method, every hermeneutic, is of human origin and therefore fallible. “Progressives” are right to point this out. “Conservatives” would do well to heed the warning against methodological arrogance. But, on the other hand, our salvation does not come by hermeneutics. All too often, progressive projects to replace the received hermeneutic give off the same whiff of Enlightenment confidence (and, indeed, methodological arrogance) that attends their 19th century predecessors. *I don’t, by the way, mean anything pejorative by using the phrase “new hermeneutic.” I simply use it because there is no commonly agreed upon descriptor currently in use for the various proposals to replace the “old” one. Grace, [like every] other institution, has its own means of development & enjoyment. Hence the means of each & every grace promised & vouchsafed to us are a portion of that Grace itself. The means & the ends are equally the Grace of God. In other words, Faith is a Grace, Repentance is a Grace, Baptism is a Grace, and Regeneration is a Grace. Therefore, our whole salvation is of Grace. There is no human merit in Faith, in Repentance, in Baptism, in Regeneration. They are one & all Divinely bestowed upon man. A quick note to point you to some additions at this website. As I have mentioned elsewhere, I am in the process of doing research on John T. Lewis for a master’s thesis. To that end, I have posted PDF scans of five of his published pamphlets over on the Texts page of this blog. In the coming weeks, I hope to gain permission to post at least two more.